Starting from its first version, PowerShell offers an administrator an extensive set of tools to interact with Windows system registry. If necessary, all typical operations with the registry can be performed not in the good old Regedit interface, or reg.exe, but in PowerShell command prompt. In different scripts and scenarios it is indispensable. 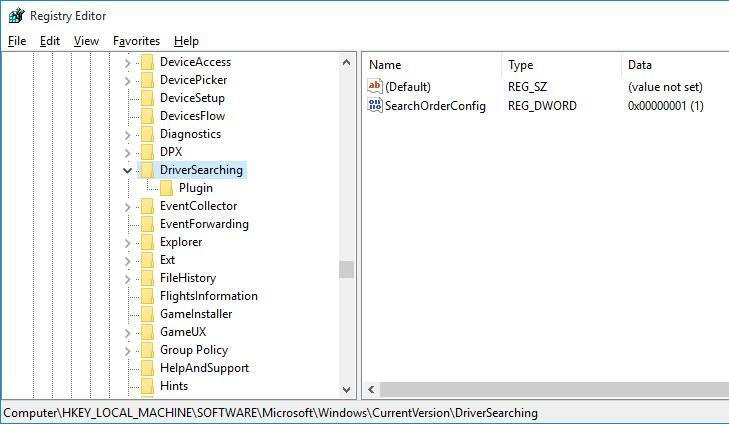 In this article, we’ll consider how to create, edit or delete keys and parameters of Windows registry, search something or connect to the registry on a remote computer using PowerShell. Working with the registry in PowerShell is similar to working with common files on a local disk. Open the same branch in the Registry Editor. As you can see, the command has displayed only the information about the subkeys, not the parameters of the current branch. 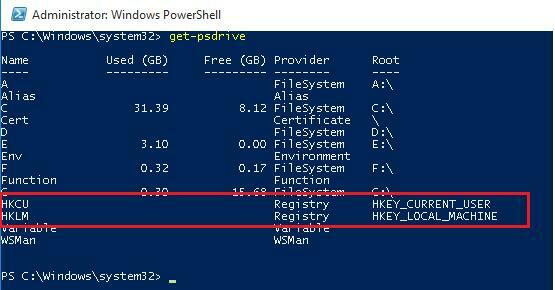 The matter is that, from PowerShell point of view, a registry branch (a key) is a file analog, and the parameters stored in this registry key are the properties of this file. As you can see, DriverSearching key has only one parameter – SearchOrderConfig with its value equal to 0. We have got that the value of SearchOrderConfig parameter is equal to 1. New-ItemProperty -Path $HKCU_Desktop\NewKey -Name "SuperParamString" -Value ”file_name.txt” -PropertyType "String"
Make sure that the new key and parameter have appeared in the registry. 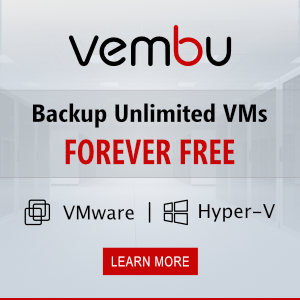 Remove-ItemProperty –Path $HKCU_Desktop\NewKey –Name "SuperParamString"
Note. –Recurse key shows that all subkeys have to be removed recursively without confirmation. PowerShell allows you to search registry. The next script searches the HKCU:\Control Panel\Desktop the parameters, whose names contain the *dpi* key. Tip. If you have to create/modify a certain registry parameter on a number of domain computers, it easier to use GPO features. So, we looked at typical examples of using PowerShell to interract with the Windows registry.